Cedric Johnson is a middle-aged insurance broker with an unusual problem. He seems to be physically flashing back to pivotal moments from his past. It begins when his third-grade teacher notices a startling awareness in an otherwise unremarkable boy. Next, Cedric inhabits his fourteen-year-old body. He continues to travel through the life he's already lived, issuing warnings and searching for answers. But why should anyone believe him? Cedric's journeys through time bring him face to face with forgotten memories, heartbreaking loss, the possibilities of love, and the agony of a life of regret. Cedric incenses and inspires the people around him, and changes the landscapes of their lives. Cedric is so insignificant that he doesn’t get to be the main character of his own life. When this nondescript middle-age man sees himself traveling in time to notable events of his past, he can’t get anyone to acknowledge the odd phenomenon: the spotlight is always on somebody else. The poor man only appears in the negative space between the more substantial people crossing his path. Is there really a story of someone so bland? Is there a meaning to such a life? And, incidentally, how and why is he actually flashing back? Believing Cedric is trying to answer those questions and truly, this book is spectacular. I expected no less: in 2014, it’s Mark Lavorato first book that pulled me into CanLit and had me start this blog, with his remarkably thought-provoking dystopian Veracity. But let’s go back to Believing Cedric. Each chapter is similar to a short-story, the point-of-view switching to a new character: a drained teacher, an unscrupulous landlord, a petty criminal… Another time and place takes shape with vivid details, the tone of the narrative brilliantly matching the new protagonist, their history fascinating and well researched (did you know about Ukrainian internment camps in Canada?). And here is the paradox: while Cedric is traveling in time, all our attention and empathy is toward these unrelated characters, who led a not-so-spectacular but yet definitely out of the ordinary life. They are interesting, while Cedric is tragically plain. Of course, they all end up meeting Cedric at one point, who may even play a key role then… except he has no clue about it. It could have been anyone else. We weren’t important. We weren’t someone whom you would normally remember, someone who altered a heroic past or a courageous future. And why didn’t we? Well, it turned out to be much, much bigger than us, so big that we couldn’t. As a result, we’re trying to draw a portrait of Cedric from disparate, indifferent perceptions of him, sometimes a mere glimpse. This book stroke me as genius, as it basically describes the human condition: from the outside, each of us are only what other people make of us, and opinions often diverge. We are interpreted differently by our parents, kids, colleagues, friends, mere acquaintances or random encounters like the grocery store cashier. How they understand us depends on what we let them see but also on who they are. Which brings us to another aspect of Believing Cedric. Lavorato’s beautiful imagery and graceful style soon gives away that he is a poet (for his first poem collection, check Wayworn Wooden Floor, 2012). Also, art was already a central theme in Veracity. Believing Cedric questions the nature of poetry and suggests that the answer lies in the way our life is interwoven with those of the people we meet, even briefly, and despite our “blindness” to it. If you think of your own life (…) you might be able to string its narration together using the exotic beads of those few most singular moments that you’ve experienced, the big turning points, the poems, until you could look at those glass colours all butted up together, side by side. But what you don’t see looking at it—or even stop to consider—is that every human being that your path collides with at those poignant moments also has a string of beads, which is now intersecting with yours, and so is woven into it. Finally, I was delighted by how this book is all somewhat “self-contained”. The novel questions the meaning of the unremarkable life of Cedric and the definition of poetry and is, as a whole, a proposition for an answer. Also, the book hints at the reason for his own creation, at least in part, or entirely, depending on your interpretation. I found that it really gave a very satisfying closure, as if nothing was left unthought of. I really enjoyed how everything seems to fall into place, leaving no loose ends. I could go on and on about this excellent book but I’ll have to stop somewhere. Believing Cedric is a wonderful book, which will stay in your mind for days after you finish it and only gets better each time you reflect on it. On the surface, all the life-stories it contains are fascinating and enriching with its well-researched details. However, as you get deeper in the book, it raises fundamental questions about our human conditions, as well as the nature of poetry, and brings the book to the level of true literature. Rare are the books which offer so much in less than 300 pages. 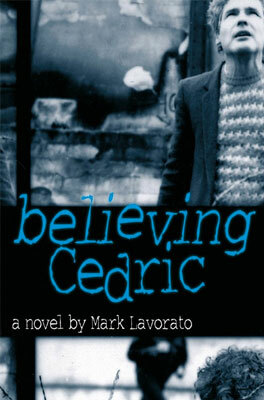 I would suggest to drop whatever you’re doing and get a copy of Believing Cedric, right now. This sounds fantastic. I liked his Serafim and Claire, so I was curious about this one, but it sounds like a story which I would enjoy even more than his historical novel (though the feminist history of that one held tremendous appeal as well). I’m glad you reviewed this one. It’s been on my TBR for awhile, but sometimes it takes years for a backlisted title to elbow its way onto the stacks when there are so many new and shiny books competing for reading hours, so a review like this one makes all the difference!